We must be men with hope to bring... The footsteps of those men who called us to walk in their company left deep prints, as of men carrying heavy burdens. But they did not trudge; they strode. For they had the hope. Make haste, therefore; take up this work of the resurrection, never forgetting that the particular goal of your institution is, above all, to sanctify youth. By this, you will contribute to preparing the world for better times than our own, for these children who today attend your school are the parents of the future and the parents of future generations. We are emboldened by our Holy Cross heritage and tradition, which seeks to express our Catholic identity and our Holy Cross educational mission by reaching out to our entire community, welcoming and valuing all opportunities to deepen religious beliefs and to ignite hearts in God’s service. We are emboldened by our Holy Cross heritage and tradition, which seeks to express our Catholic identity and our Holy Cross educational mission byreaching out to our entire community, welcoming and valuing all opportunities to deepen religious beliefs and to ignite hearts in God’s service. Fully embrace our Catholic identity and ignite the hearts of our whole community through our inclusive Holy Cross values and uncompromising commitment to lives of service. 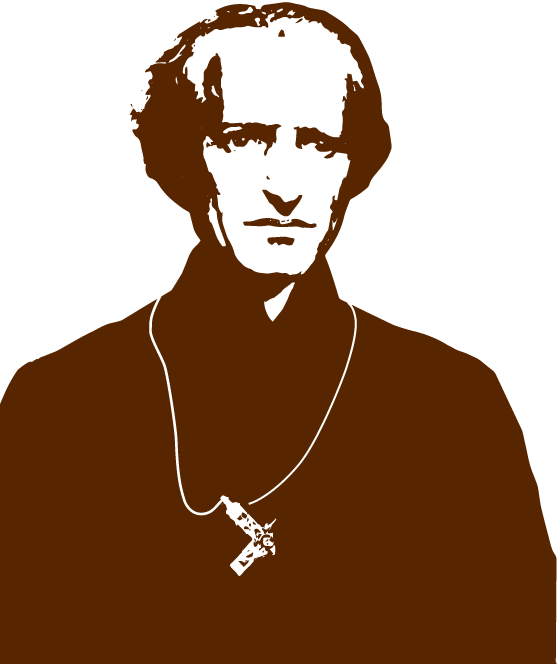 EDUCATION: Communicate with clarity, fervor and pride our Catholic Holy Cross values and the teachings of our founder, Blessed Basil Moreau. FORMATION: Provide the guidance, support and practical tools to enable all members of our school’s community—faculty and staff, students, parents and alumni—to live fully the Holy Cross values in daily life. TRANSFORMATION: Serve as a proactive leader in our local Catholic community and across the national network of Holy Cross schools. A Holy Cross education will always be defined by its commitment to the development of the whole person, nurturing the spiritual, intellectual and personal formation of each of our students. We prepare them for life, supporting them as balanced, well-rounded individuals who will thrive in every dimension of life while challenging them to use their talents to become visionary scholars and ethical leaders to advance the common good. Educate the whole person, heart and mind, preparing our students to thrive as balanced young adults and engaged global citizens. Establish an enduring guiding philosophy that reflects a “whole school” commitment to the healthy development of our students. Ensure that our graduation outcomes and requirements best prepare our students to be Holy Cross leaders in a rapidly changing, dynamic world. Revisit regularly the school schedule and calendar in support of the healthy development of our students. Strengthen and maintain a robust network of programs, staff, alumni and other resources to support the well-being and resiliency of our students. Partner with families to ensure that students access the broad range of support and resources available. Even though we base our philosophy course on the data of faith, no one need fear that we shall confine our teaching within narrow and unscientific boundaries. No, we wish to accept science without prejudice and in a manner adapted to the needs of our times. We do not want our students to be ignorant of anything they should know. To this end, we shall shrink from no sacrifice. 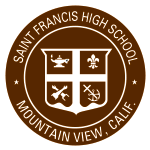 Founded 60 years ago among the historic orchards of Mountain View, Saint Francis has experienced a parallel transformation with Silicon Valley. 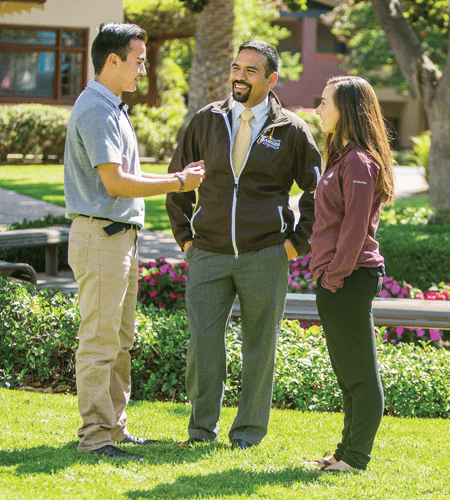 We remain true to our history, but are committed to the integration of traditional education with progressive scholarship and instruction, providing students and faculty unique opportunities to become immersed in the rich culture of academic excellence, creativity and innovation of our Valley. Underscoring our firm belief that innovation must be broadly defined and pursued, our mission is to blend rigorous teaching and learning with direct engagement in the worlds of professional work, higher education and cultural expression. Create a culture of innovation throughout our entire institution, leveraging our unique position in Silicon Valley. Serve as a leader in innovative teaching and learning practices to prepare our students for an ever-changing future. Launch a comprehensive science, technology, engineering and math program to position Saint Francis graduates for success in the global economy. Provide time and physical space for collaboration, exploration and creativity among staff and students. Forge partnerships with corporations, universities and other leading institutions to provide students and staff hands-on exposure to the entrepreneurial culture of Silicon Valley. Model a spirit of innovation and risk-taking across all departments and roles at Saint Francis. Let us be ‘one,’ just as our Lord Jesus Christ asked this unity for us of His Father. It is only on this condition that God will give us His own strength; this strength which flows from charity, mutual harmony, oneness of wills, and the mild bonds of the heart. As an inclusive Holy Cross school, we embrace our diverse family of students, faculty, staff and alumni. We are enriched by our unified community of people from different backgrounds and cultures who share our commitment to respect the dignity of all God’s children and who are prepared to act with justice and compassion towards others. We are committed to making our Saint Francis education affordable to all who believe in our Holy Cross mission. Ensure that the school’s environment reflects, serves and celebrates our local community’s rich diversity. Create a dynamic community of students and families who feel welcomed, engaged and interconnected. Expand funding for tuition assistance and related programs that support access to a Saint Francis education. Improve the programs, services and resources available to support the diverse learning, socialization and spiritual needs of our student body. Provide faculty and staff with the tools and training to expand our collective cultural competency as a school. What is true of the palace whose foundations have been laid and which is rising gradually until completion is verified, likewise, is a great work of charity. It is not one alone who builds; nor is it one stone, or one single beam of wood, that forms it. Each worker contributes something from his own trade...Union, then, is a powerful lever with which we could move, direct, and sanctify the whole world. With hope and zeal for the future, the Saint Francis community continues to steward the promise of the school’s educational mission by strengthening the quality of our programs and engaging our students, faculty and staff, parents and alumni to realize the school’s vision. 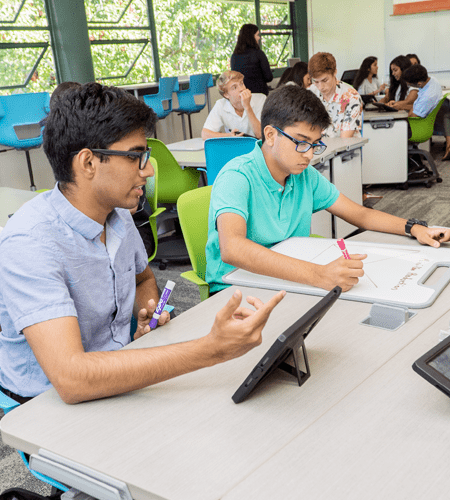 We are committed to providing the resources, support and structures necessary to inspire and sustain advanced teaching and learning across all programs. Strengthen the school’s vital resources to achieve our strategic priorities and steward our long-term sustainability. Ensure a professional, supportive work environment in which faculty and staff have the resources and growth opportunities to conduct their work at the highest standards, while living balanced lives. Offer parents a variety of opportunities to develop broader, more meaningful involvement with our school. 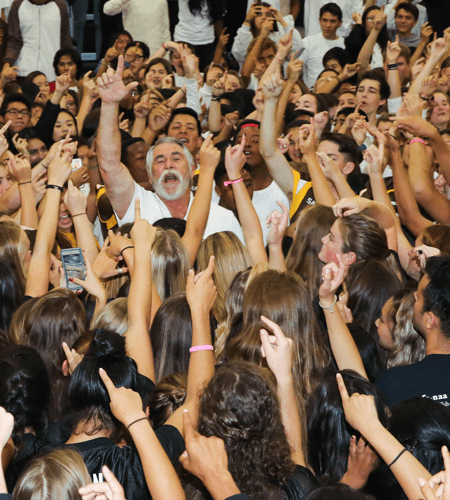 Create mutually beneficial opportunities for alumni involvement, fostering a lifelong relationship between our graduates and Saint Francis High School. Expand fundraising revenue by promoting a culture of giving across all segments of our Saint Francis community. Optimize the school’s governance, leadership and advisory structures to advance our strategic priorities. To succeed in the important undertaking entrusted to us, we must be, first of all, so closely united in charity as to form but one mind and one soul. The supporting initiatives represent important operational threads that weave through the five strategic priorities. The initiatives will be advanced in parallel with the priorities, and separate sub-plans will be developed as a roadmap for staff leadership and the Board of Directors. Create an annual admissions and enrollment management plan that supports the strategic priorities of the school and reflects the impact of enrollment on the optimal Holy Cross high school experience. 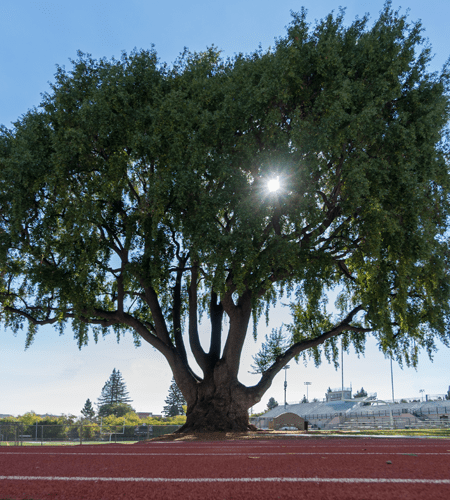 Develop a campus master plan that responds to the school’s immediate needs, aligns with our strategic priorities and demonstrates a commitment to environmental sustainability. Develop a capital campaign to support the successful implementation of the Strategic Plan and related campus master plan, evaluating the feasibility of and required resources needed for each strategic priority. Our strategic plan, Leading with Hope and Zeal, is the product of an intensive and highly inclusive strategic planning process. 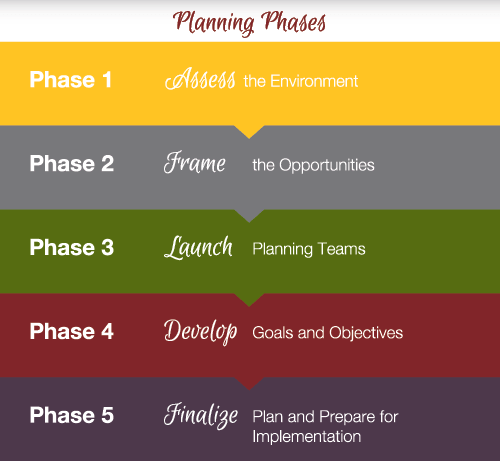 Spanning nine months, beginning in November 2015, the effort consisted of five distinct phases and was facilitated by an independent consulting firm that worked in close partnership with Saint Francis staff and board leadership. 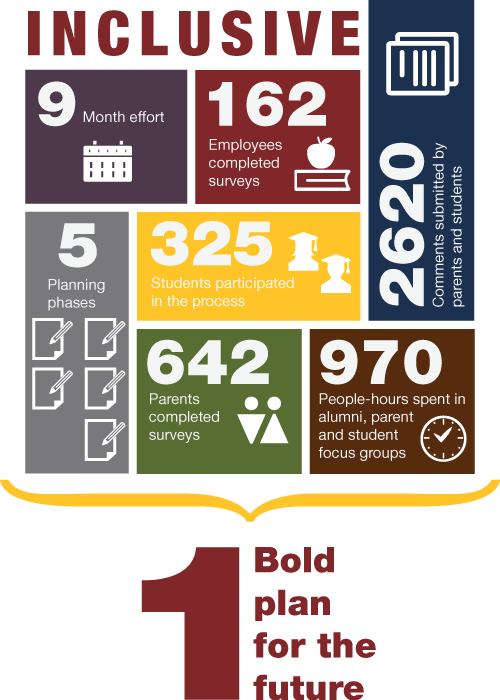 The work was driven and monitored by a cross-functional Strategic Planning Committee, composed of faculty, staff, parents, alumni and board members. 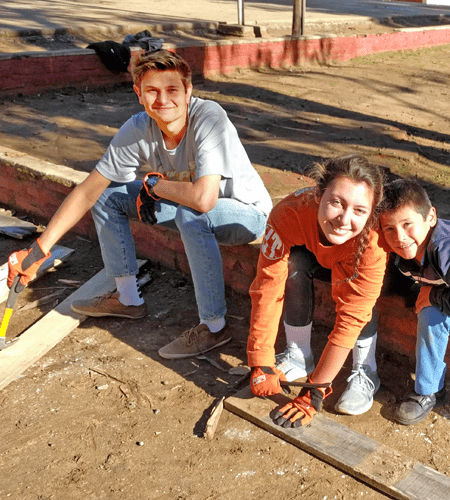 Involving well over 1,200 members of the Saint Francis community, planning activities were designed to be inclusive and accessible to anyone interested in contributing to the effort. This expansive approach yielded a comprehensive, inspired strategic plan that will chart the course for Saint Francis for years to come. Each year, the school will develop and implement detailed action plans to ensure adherence to the plan’s vision and priorities.